The Mazama Little ART Library is PACKED with books! Come read. Methow Arts presents the just-launched Little ART Library Project/Mazama! The project brings more public art and books to the outdoors for our community and visitors to enjoy. Mazama Store’s owners Missy and Rick Leduc signed on as our first business partners in the project, helping to sponsor the uniquely designed and hand-crafted ART library by artist and business owner Tim Odell and crew (Allen Towne and Mick Hansen) from Alpine Welding and Equipment. Local artist Tim Odell hand-crafted our very first Little ART Library. He paid special attention to the aesthetic of Mazama and the Mazama Store. Odell made sure to create a design that would could keep up with the extreme Mazama winters, keeping the books dry and clean. We ask that users close the door tight to help with inclement weather. Business partners Missy and Rick Leduc are committed art supporters and true community collaborators. The project offers free books with a “Take one, leave one” policy. Read more, enjoy the original artwork of local artist Tim Odell, and when you can bring a book to donate. WHY IS METHOW ARTS PURSUING THIS PROJECT? PUBLIC ART! Methow Arts supports public art as a way of: investing in our local economy (paying our artists for their work, promoting our creative community, and creating vital public spaces that encourage people to stop, gather, walk, and read a book. ENHANCING THE BUSINESS CORRIDOR: Additionally, these projects bring creativity outside. They enhance our business corridors with artwork, increasing pedestrian traffic, slowing overall traffic speed and increasing tourism and economic vitality. LITERACY AND THE LOVE OF BOOKS! 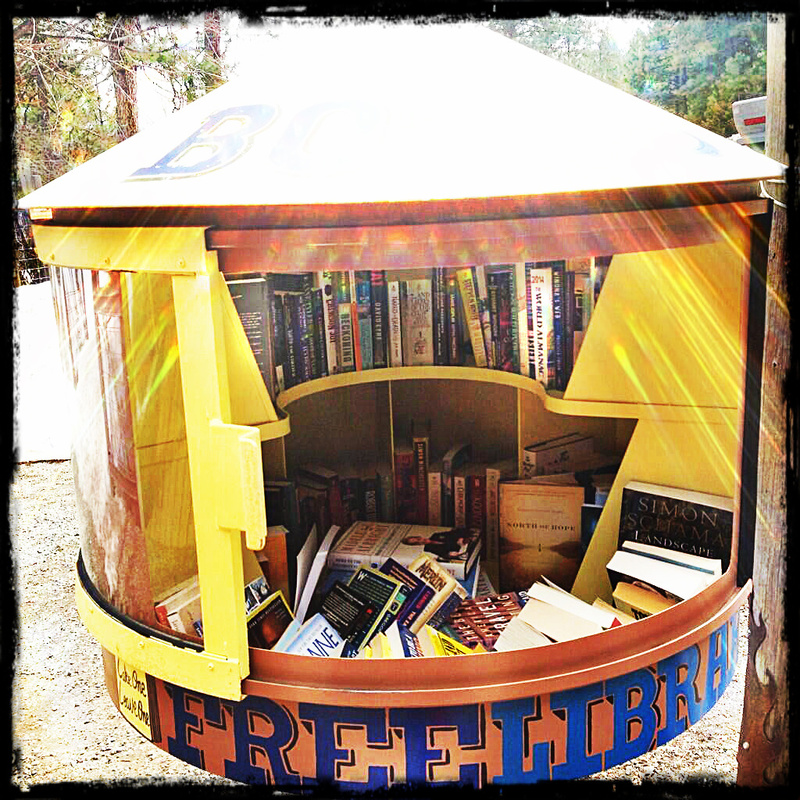 The project promotes literacy and the love of reading by building free book exchanges. COMMUNITY: The Little ART Library Project and other public art initiatives build a sense of community as we share skills, creativity and wisdom across generations. Community pride in creating and maintaining the communities is evidenced in other projects around the globe. Artist Tim Odell (left) shakes hands with Mazama Store owner Rick Leduc. Missy Leduc watches as the Little ART Library was installed, Tues, Mar 4th. Enjoy our Little ART Libraries thoroughly and READ more. Please remember to close the door after opening the Little ART Library. This keeps weather out and books dry and clean). If you are donating books, please donate books that are in good condition and in good taste. Children (of all ages) will be enjoying these. It is not a drop box for library books. Please be sure to return any loaned library books to the appropriate library in the valley. The location of the Little ART Library offers visitors summer and winter-time books. Five Little Libraries are planned for the Methow Valley from Methow up to Mazama. Currently underway are 1. LAUNCHED! 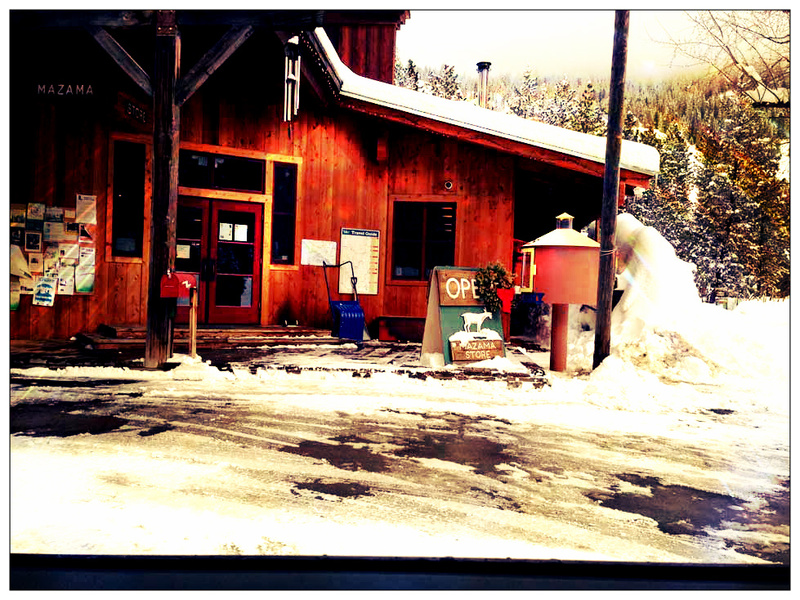 Mazama – Tim Odell at the Mazama Store (March), 2. Twisp – Steve Ward outside of the Twisp Post Office in the phone booth donated by CenturyLink (March/April) and 3. Winthrop – Tori Karpenko outside of Trail’s End Bookstore (May/June). We are working with artists and towns and business sponsors to install each creation. The libraries are placed in highly visible public spaces, off the ground to avoid blockage during snow seasons and allow for shoveling/plowing, etc. 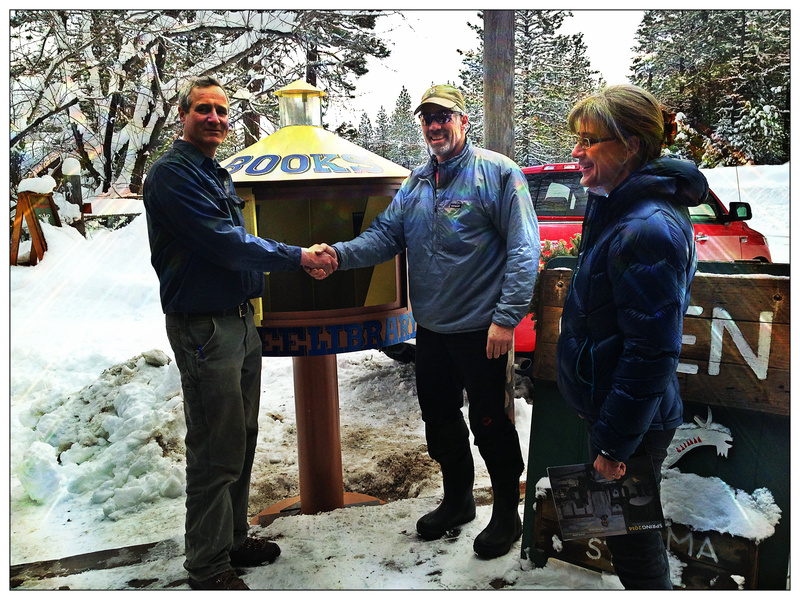 MAINTENANCE: Methow Arts and the Business Sponsors will maintain each little library. It is our hope that community members will pitch in a hand to “take one/leave one” and help in keeping our little libraries tidy and thriving!